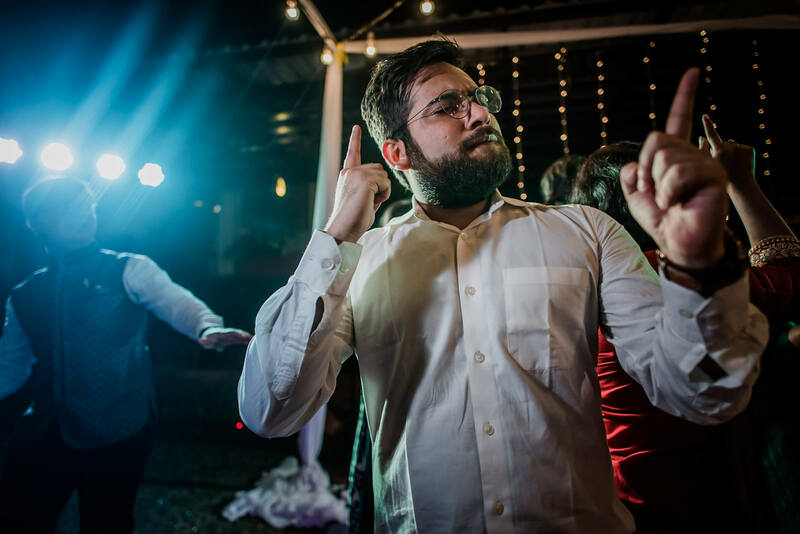 Here comes my first blog of 2018. 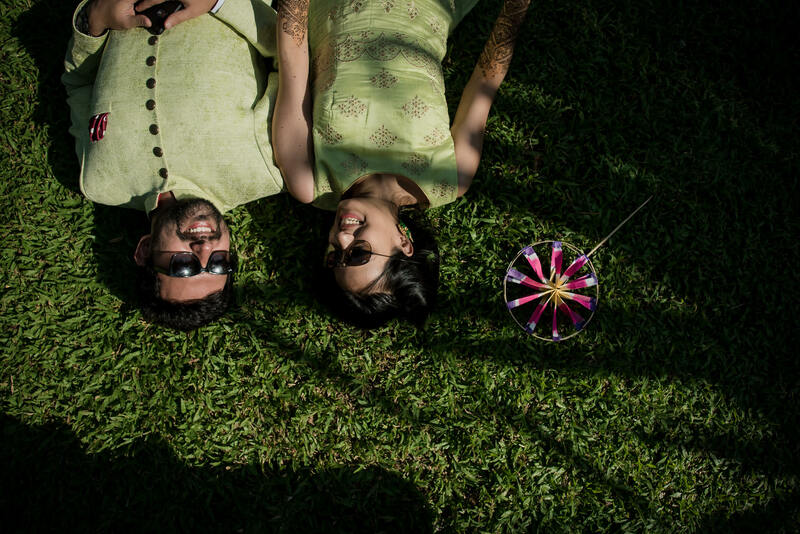 Last season has been so wonderful with some new experiences and intimate weddings. 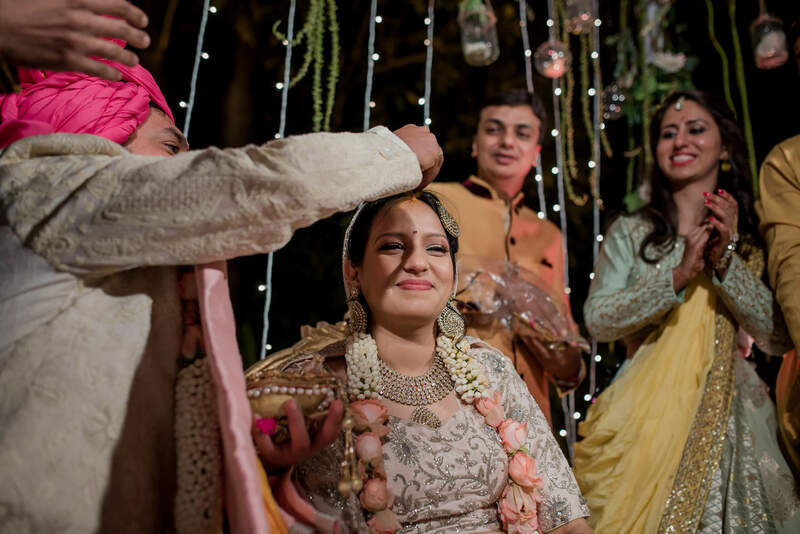 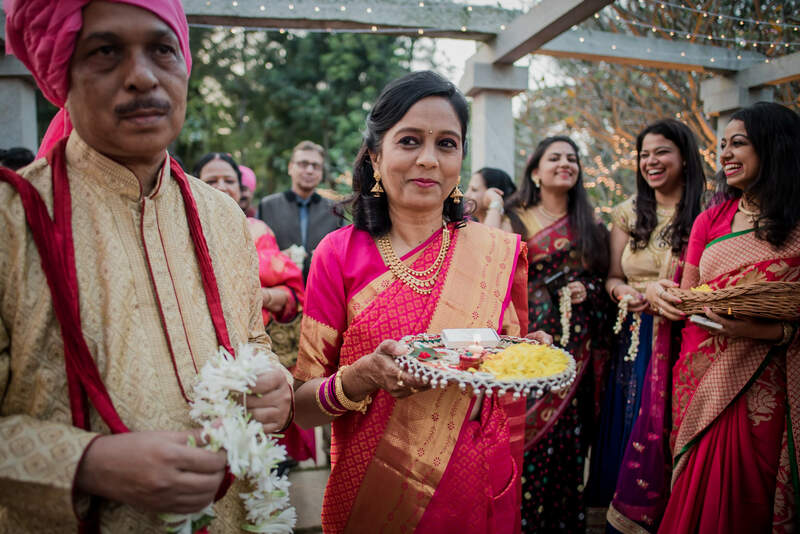 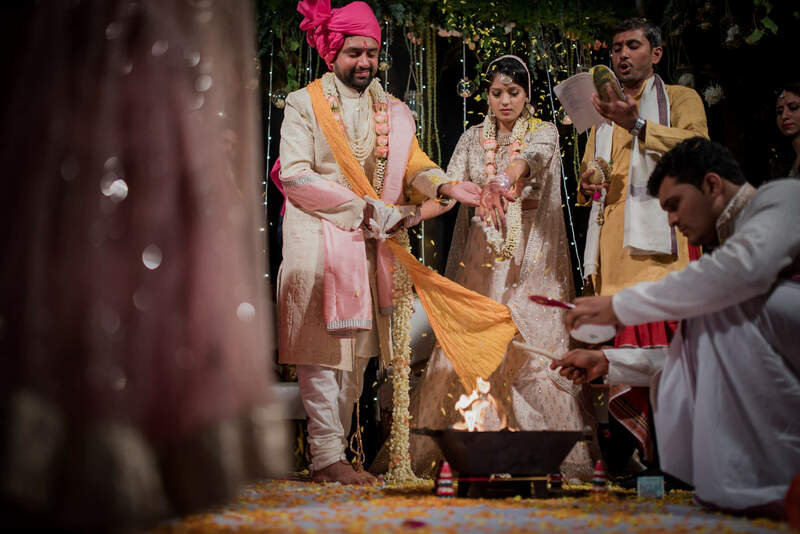 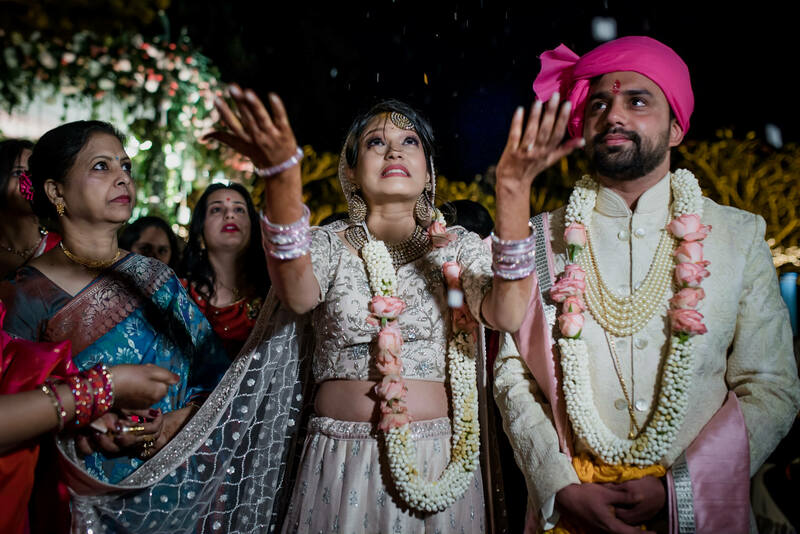 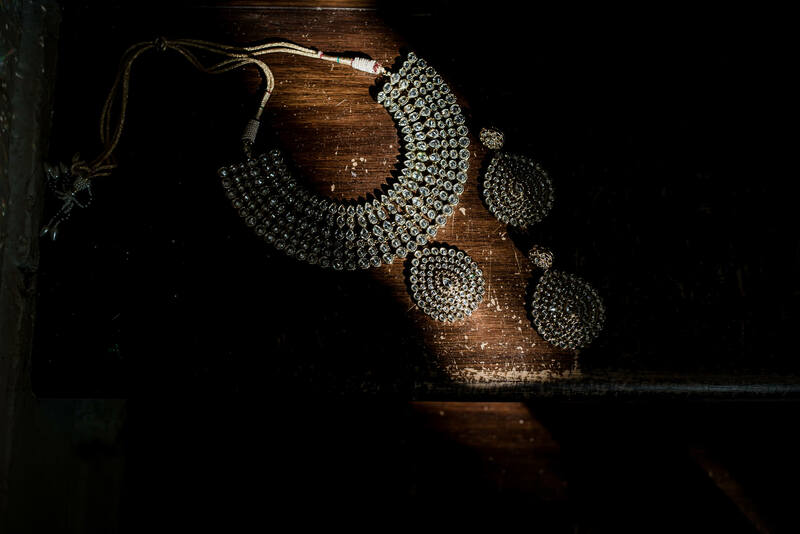 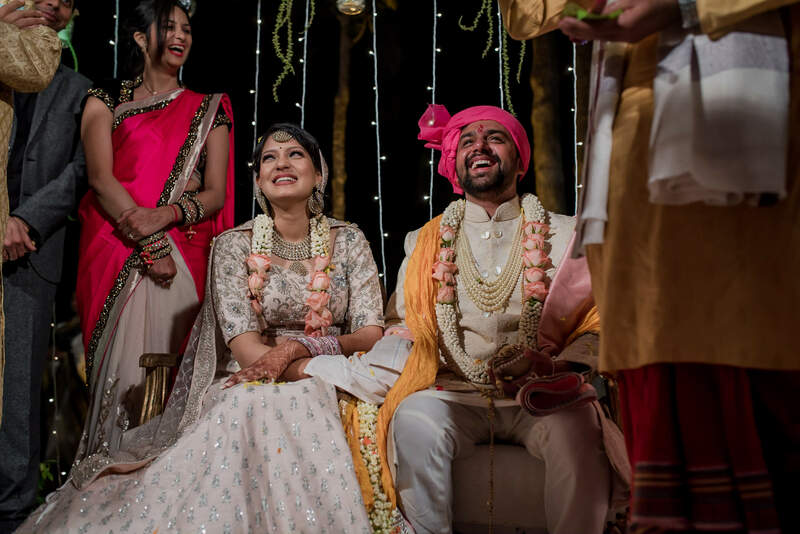 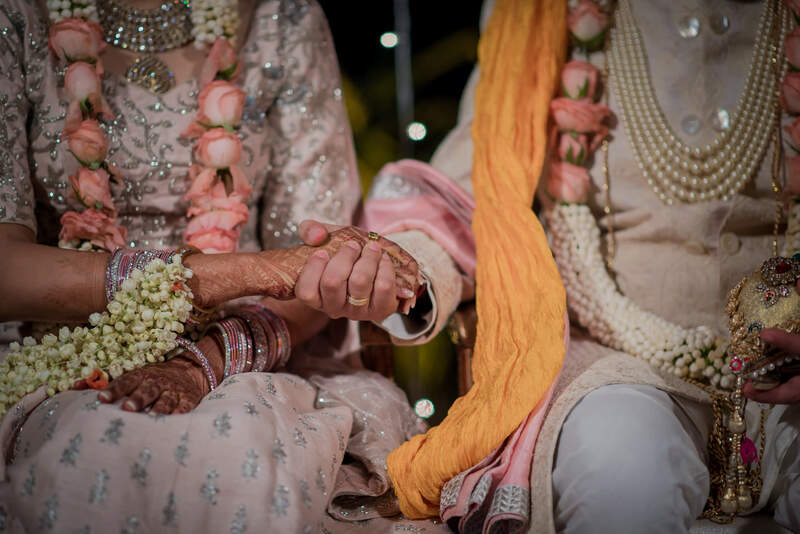 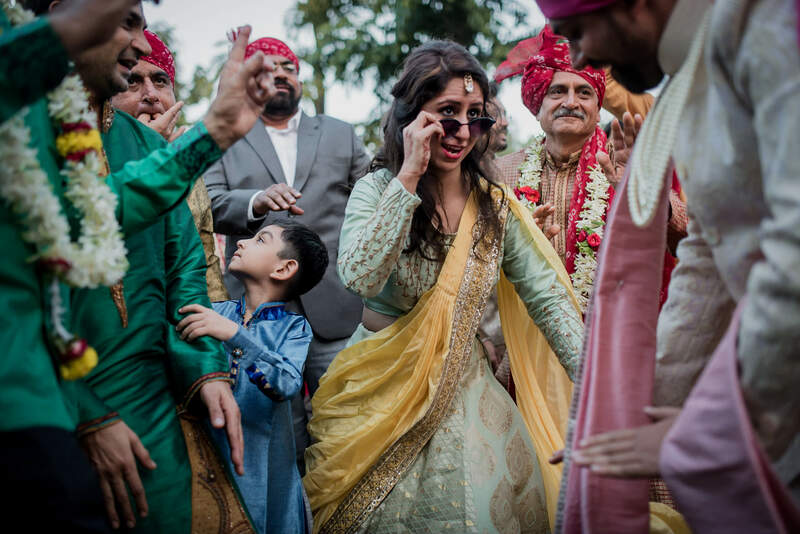 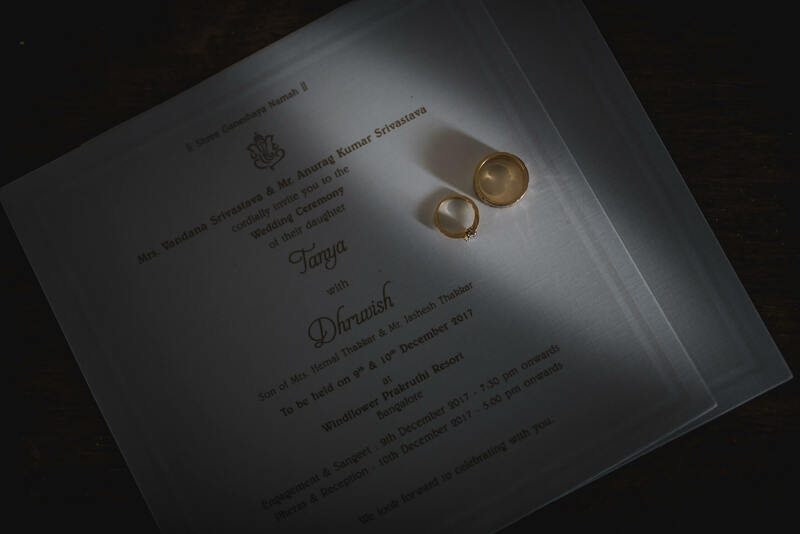 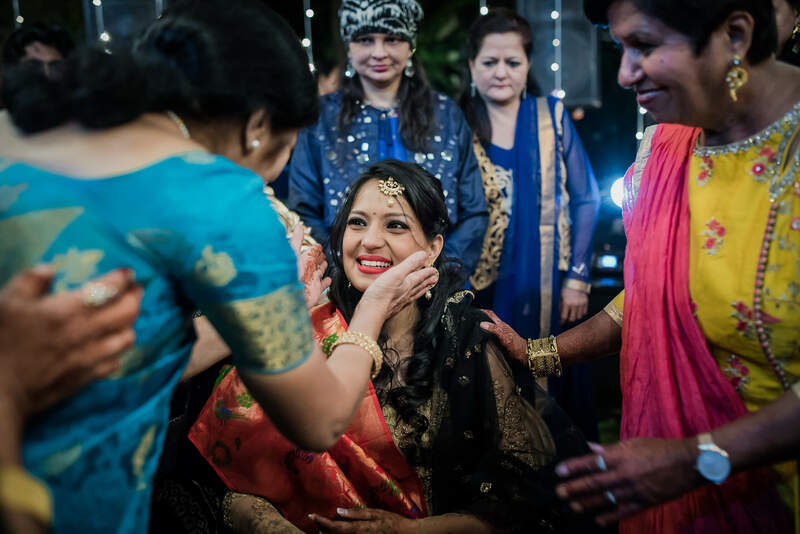 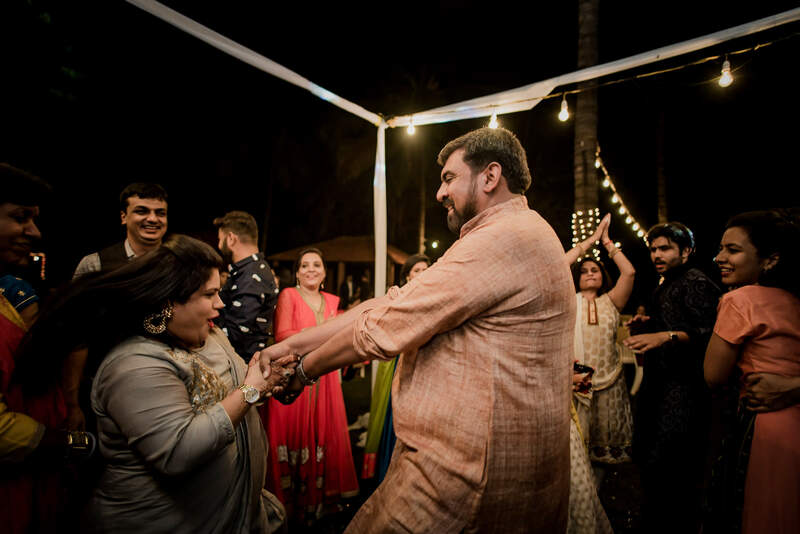 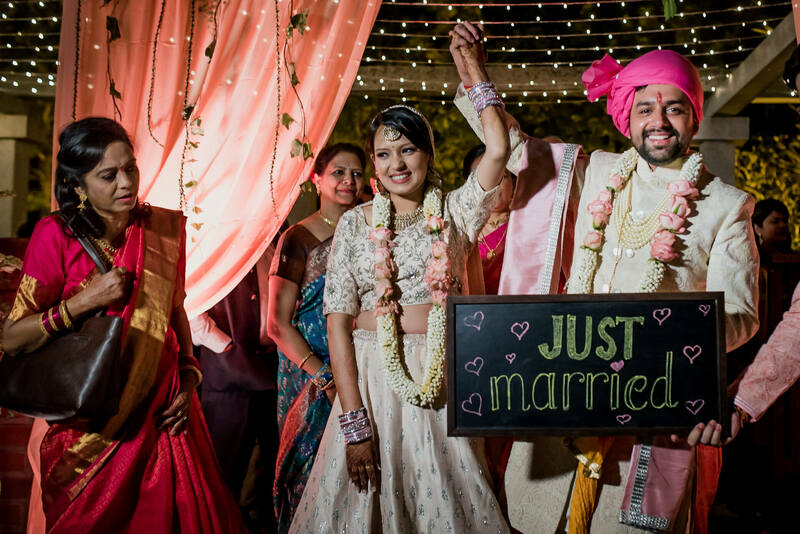 Tanya and Dhruvish’s wedding was one of them. 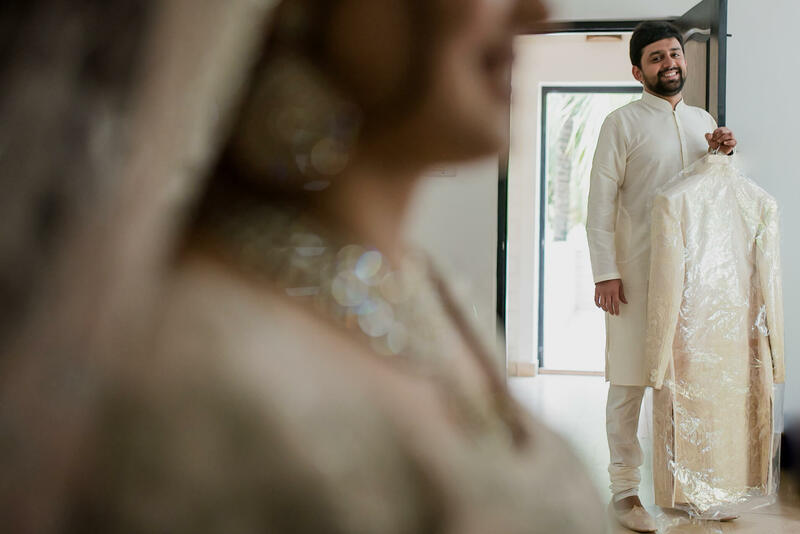 Their wedding ended up being a reflection of their own personality; every aspect was well planned, fun-filled, full of life, love and good vibes. 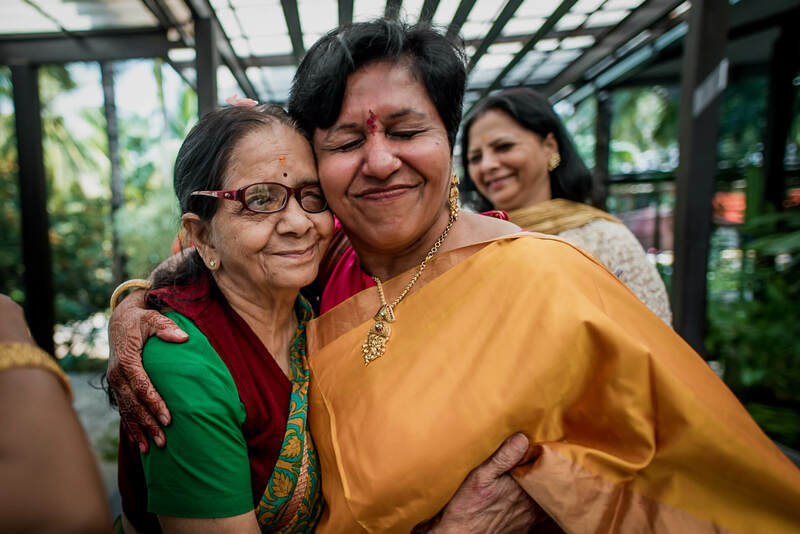 Their friends and family were no different. 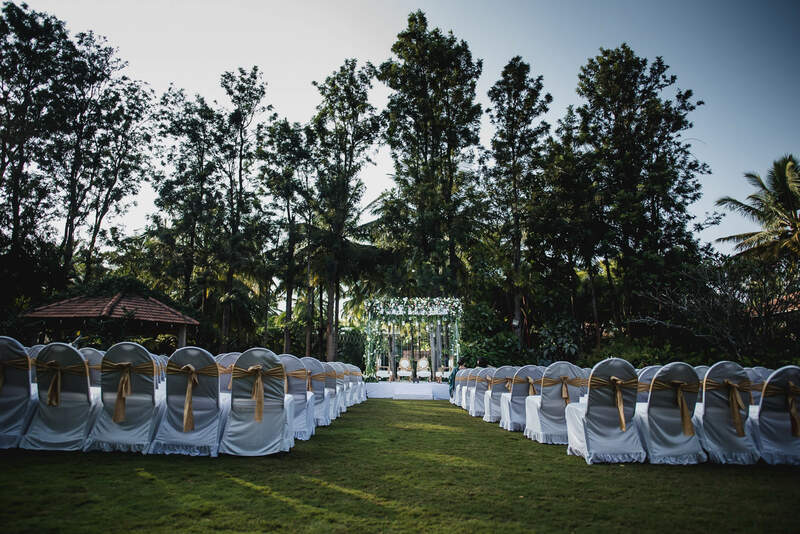 We were delighted to be welcomed to their gorgeous two day celebration. 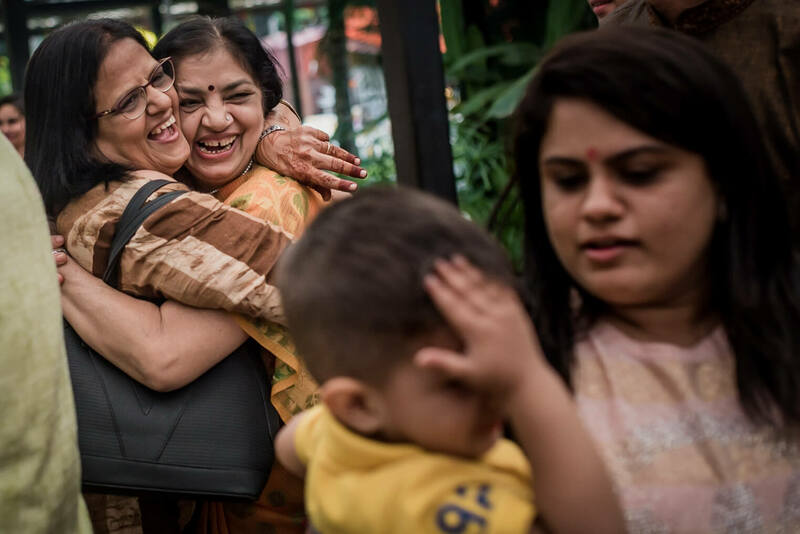 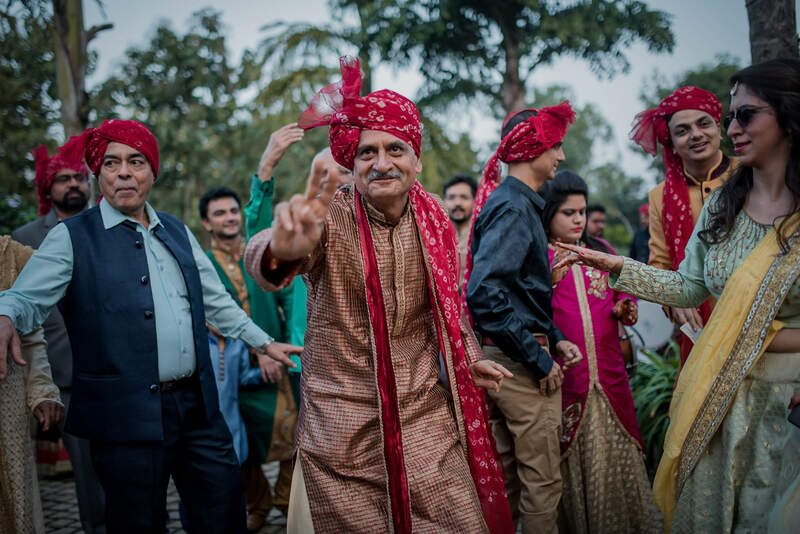 The feedback and love we got after we gave them the complete set of pictures elevated our happiness even more. 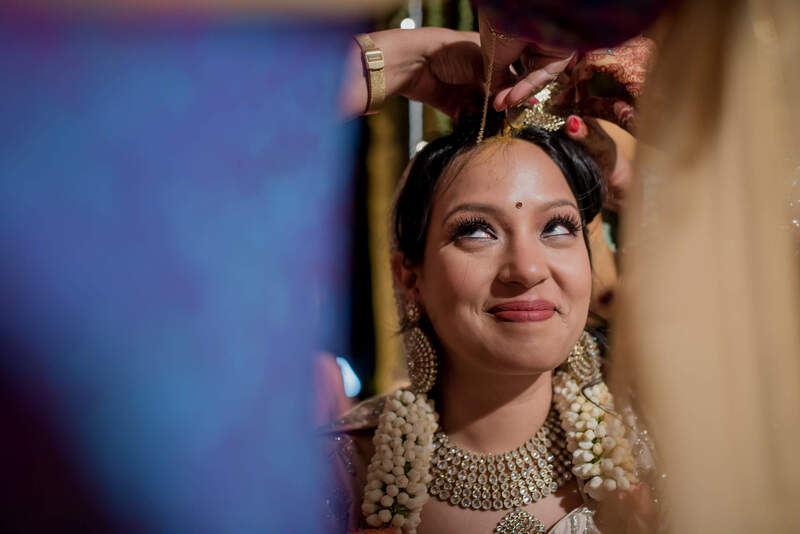 While all vital decisions are usually considered the bride’s domain, these days things are changing a bit. 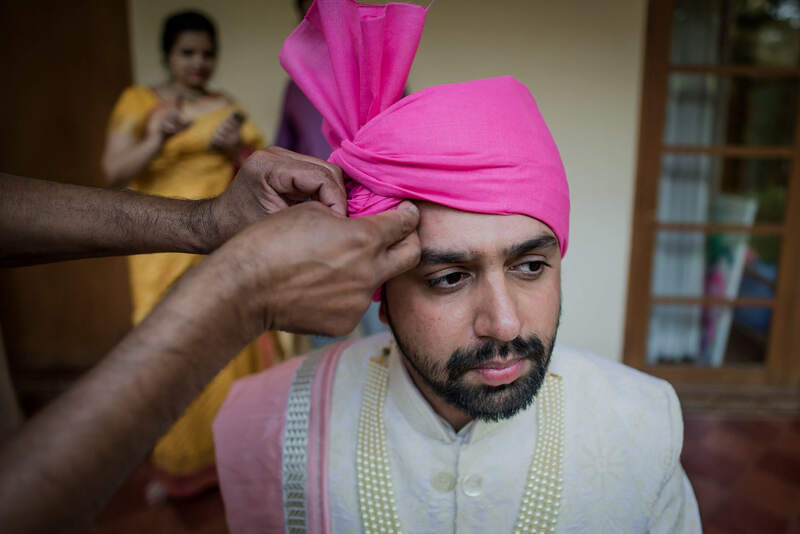 Instead of merely getting fitted for the wedding suit and just plain showing up on time, more grooms are helping choose the cake, the location, the music and everything else. 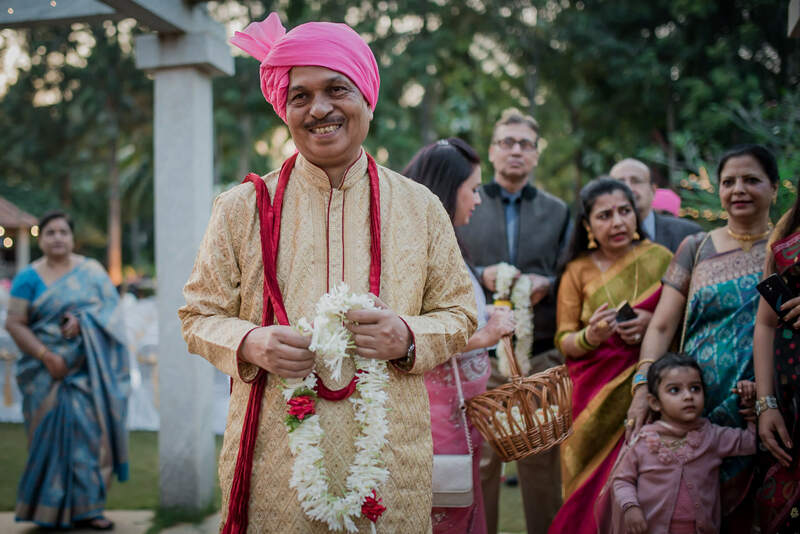 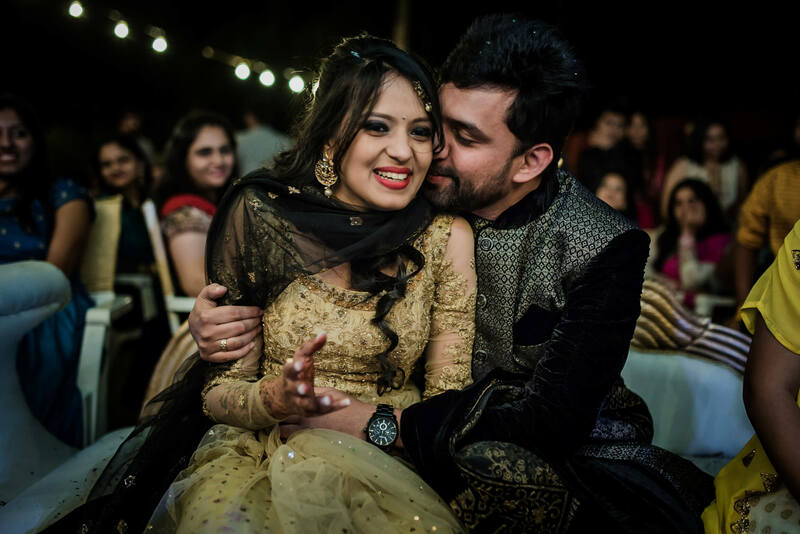 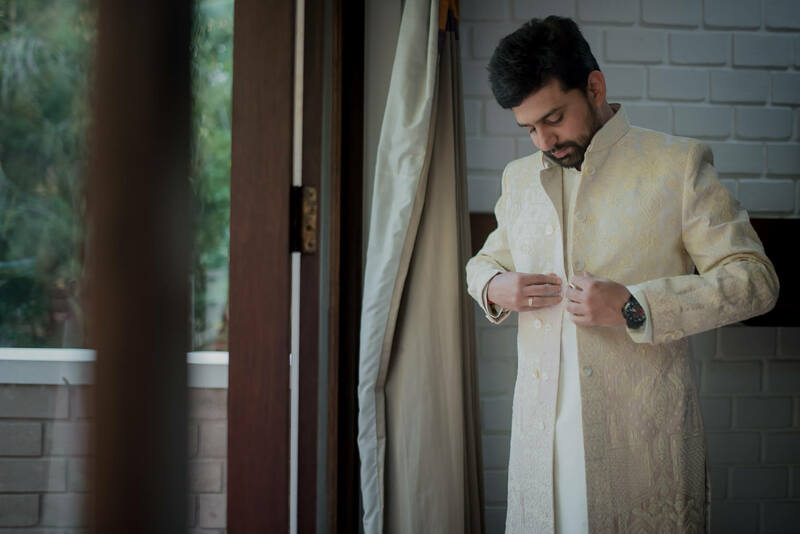 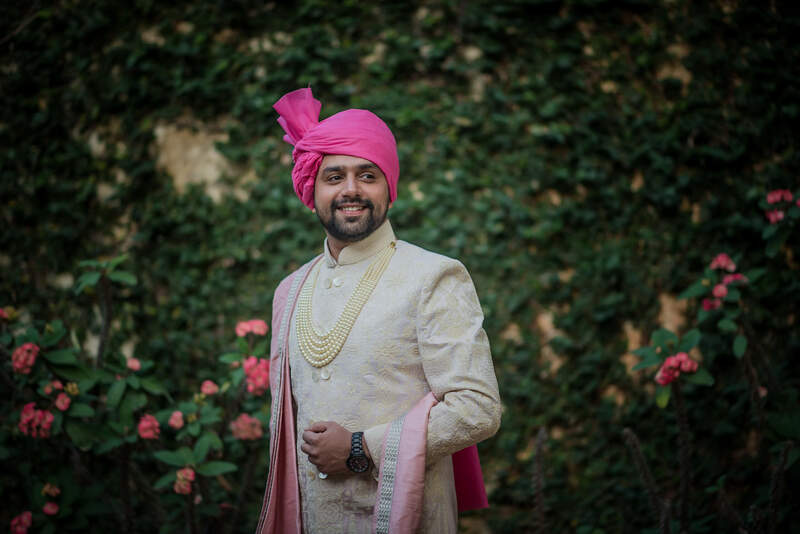 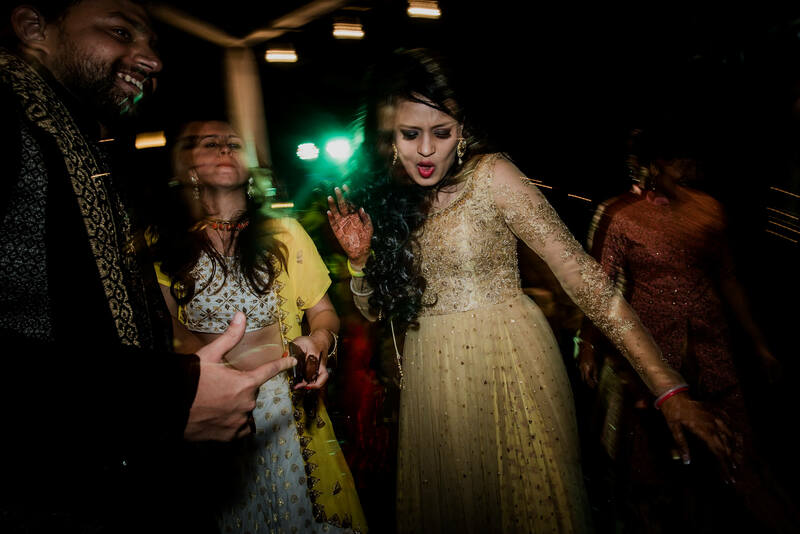 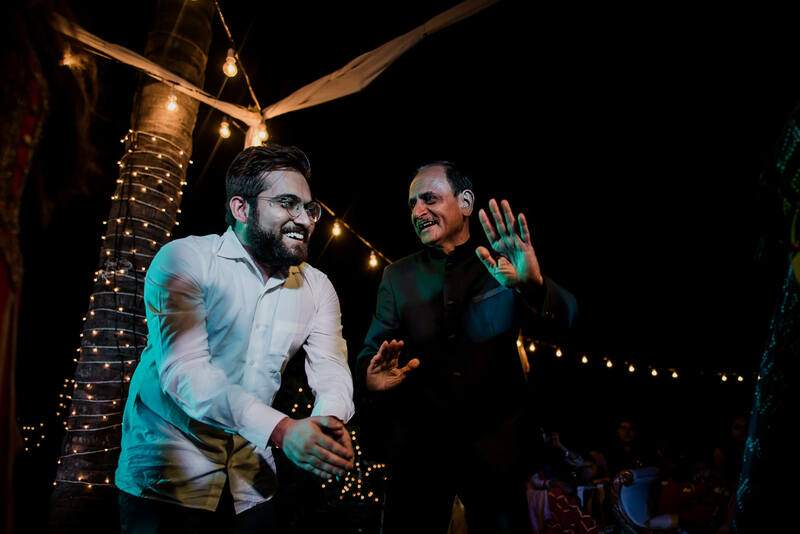 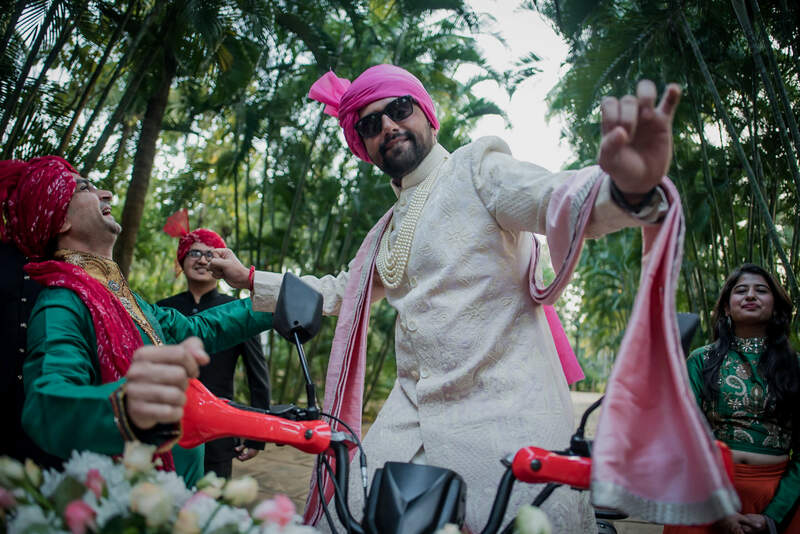 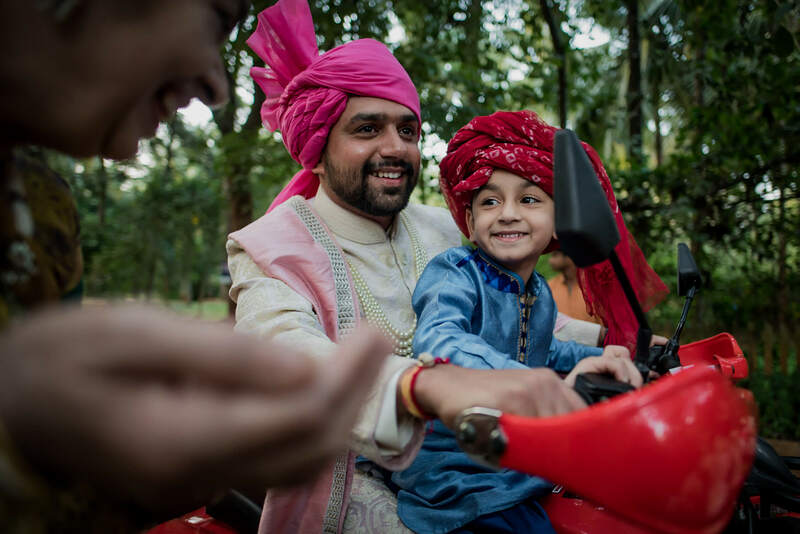 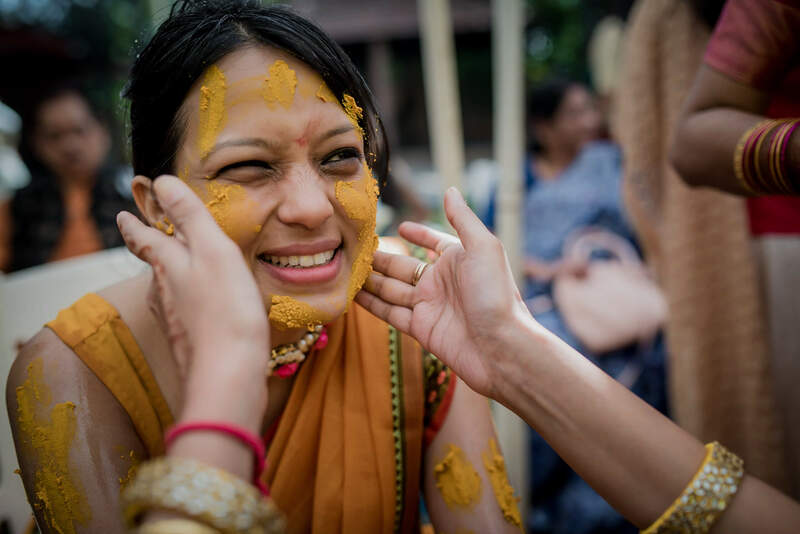 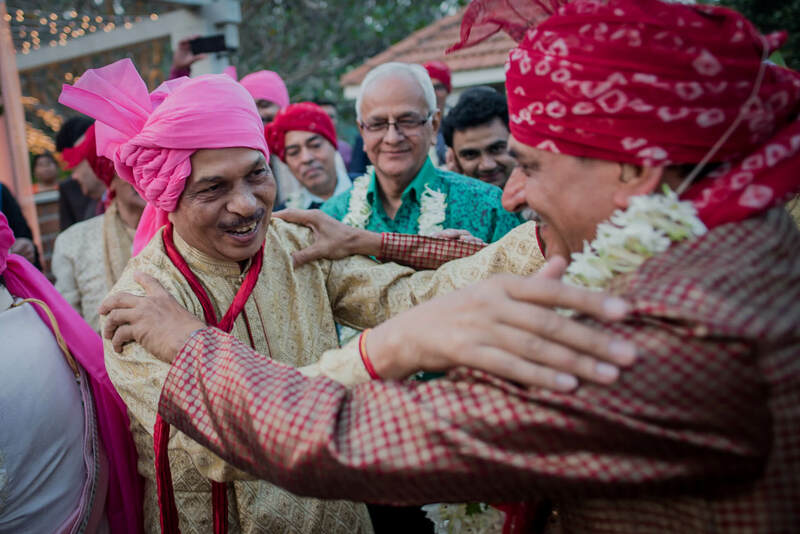 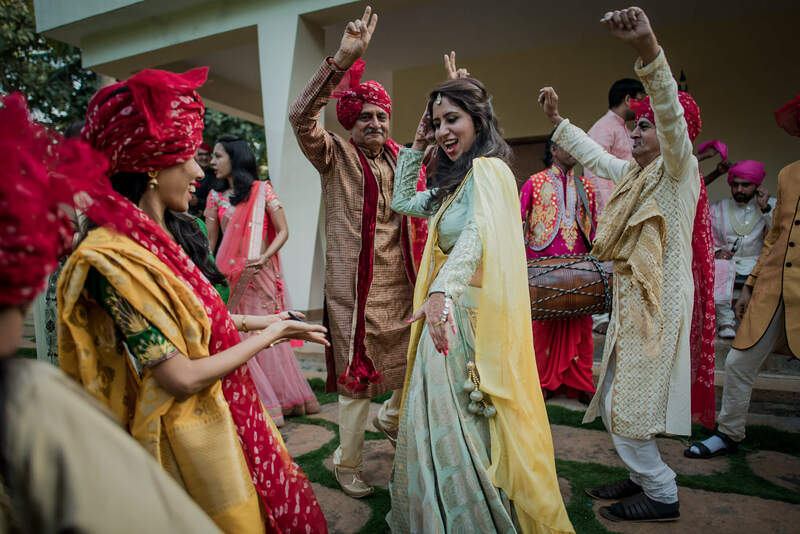 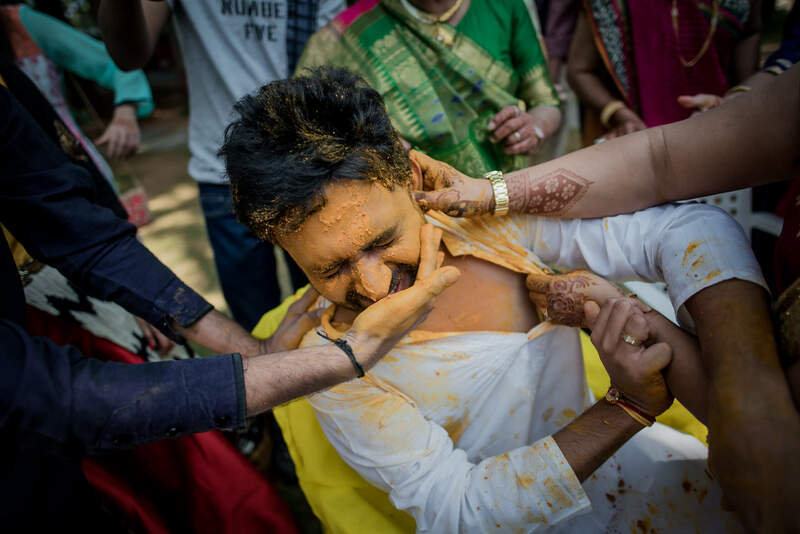 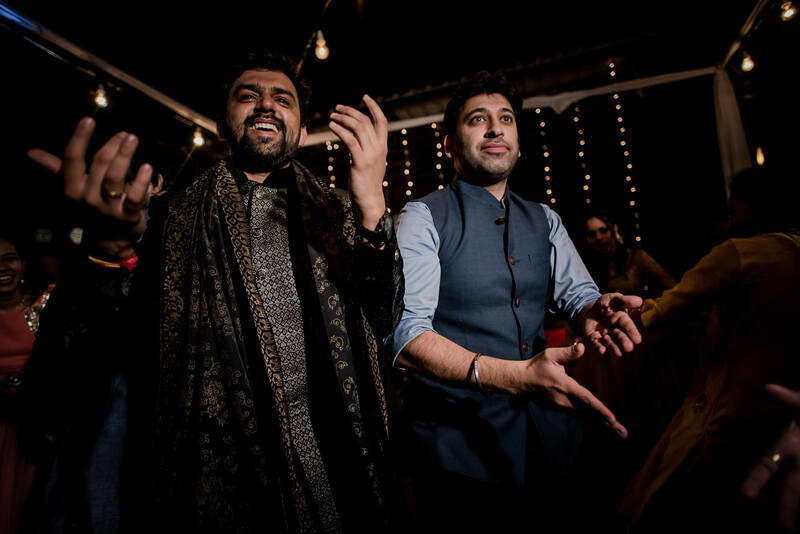 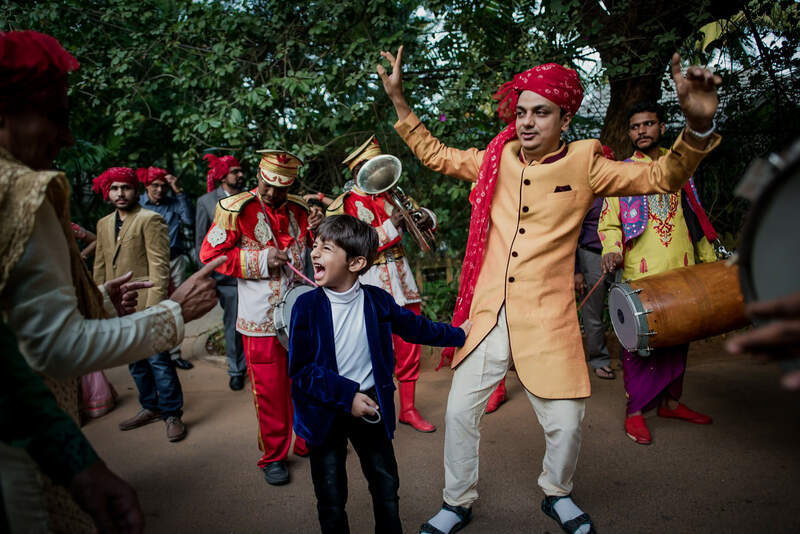 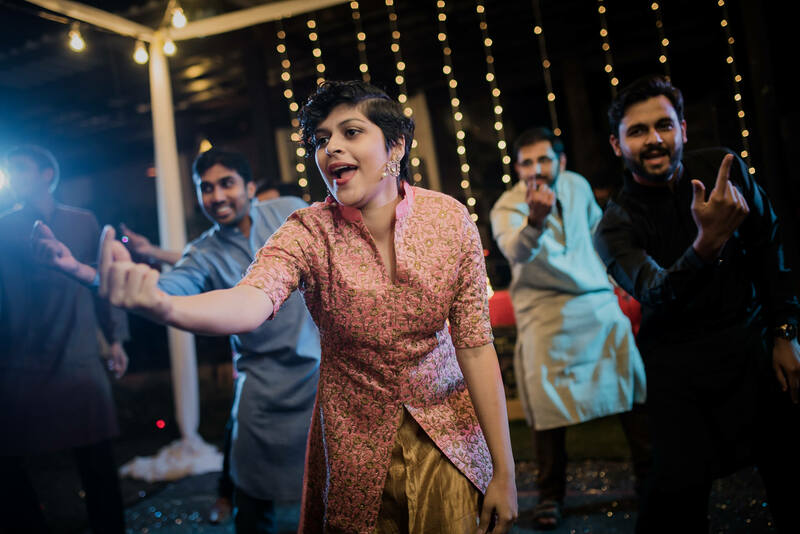 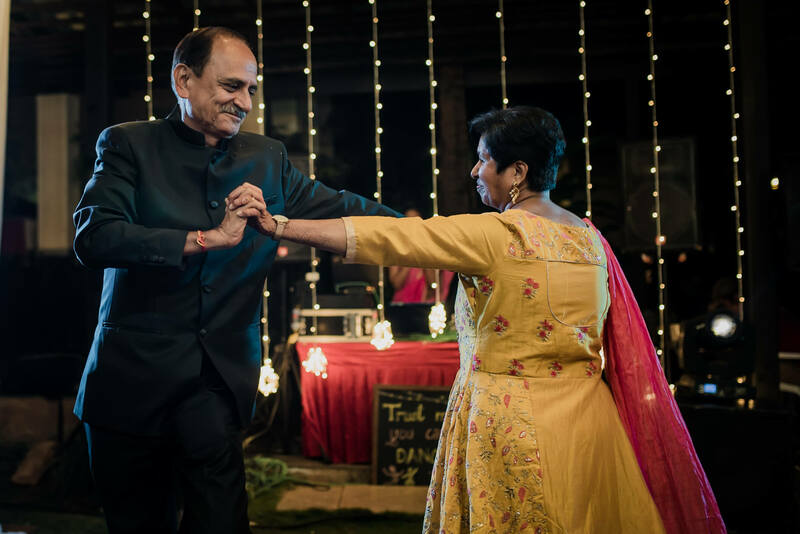 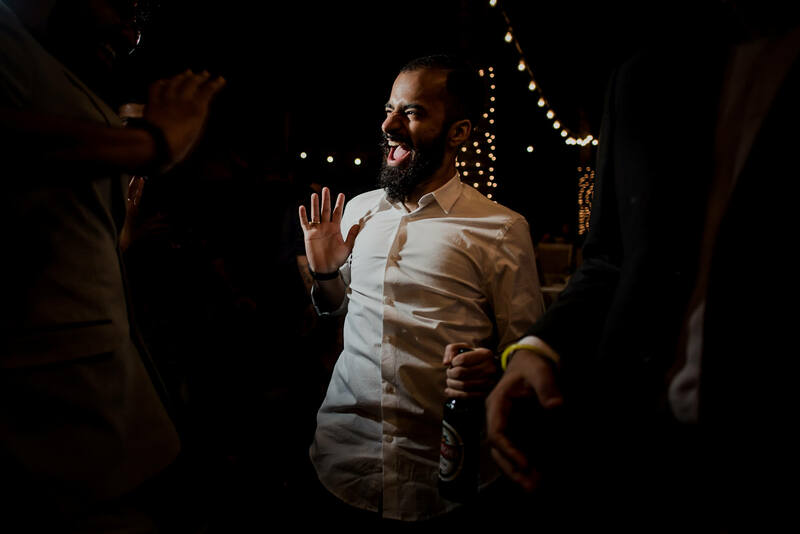 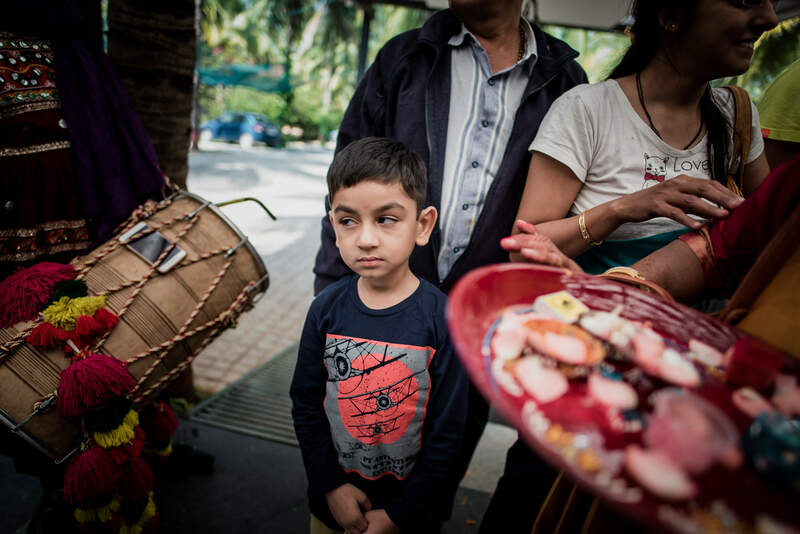 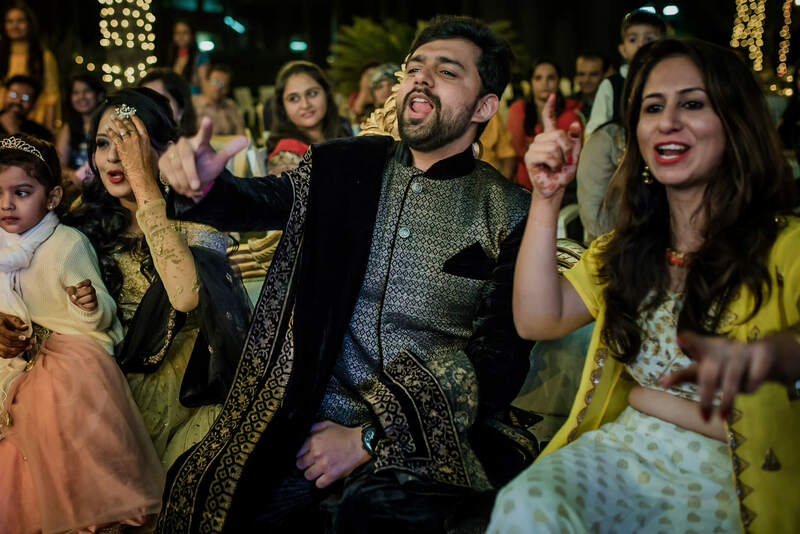 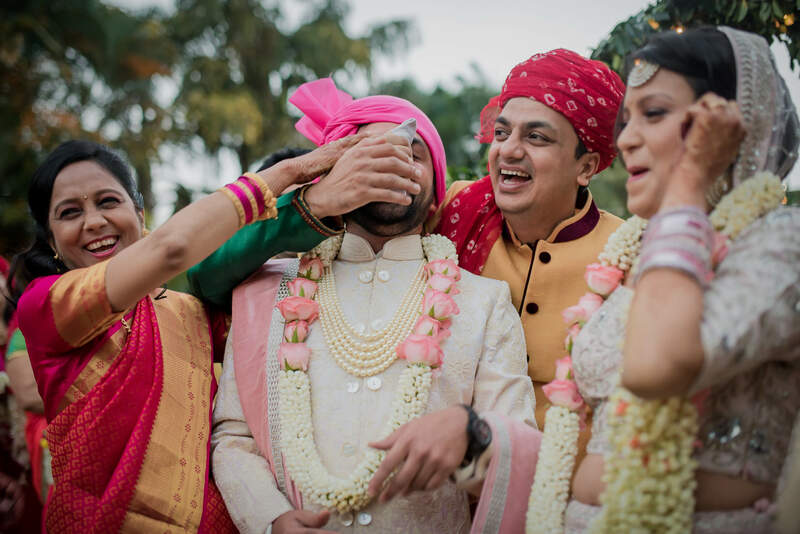 Dhruvish was one such groom who was actively involved in everything and made sure his wedding was all about fun. 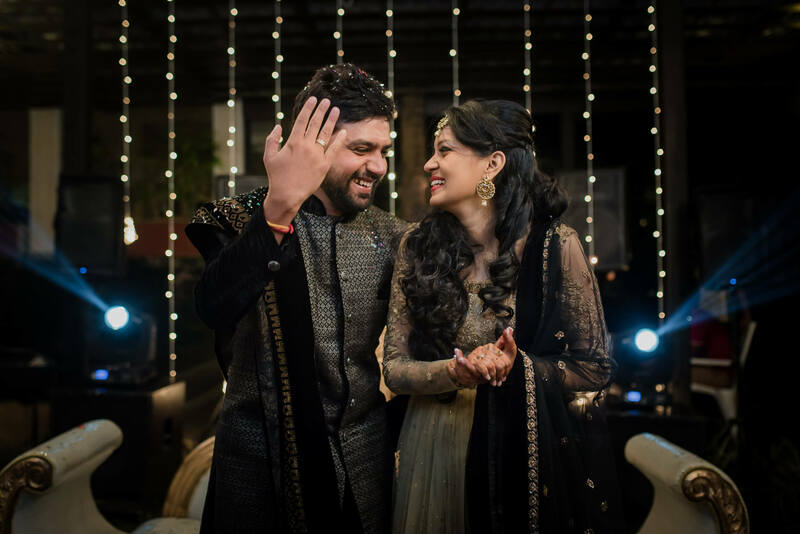 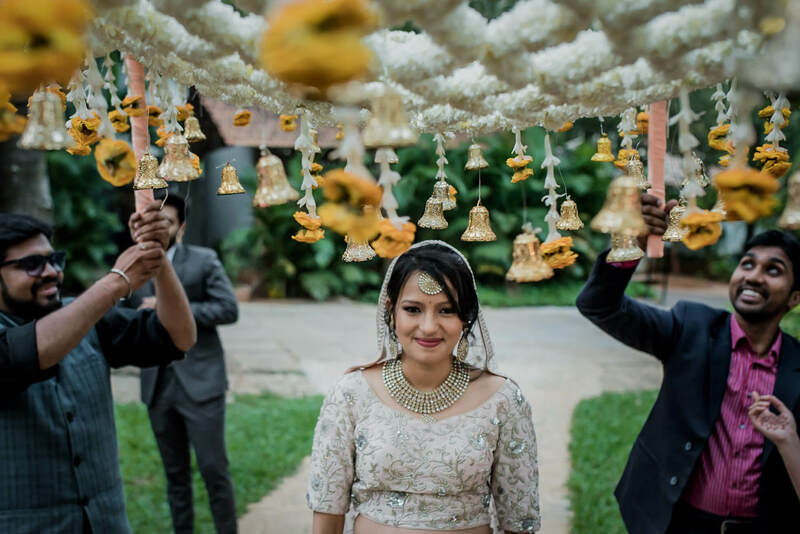 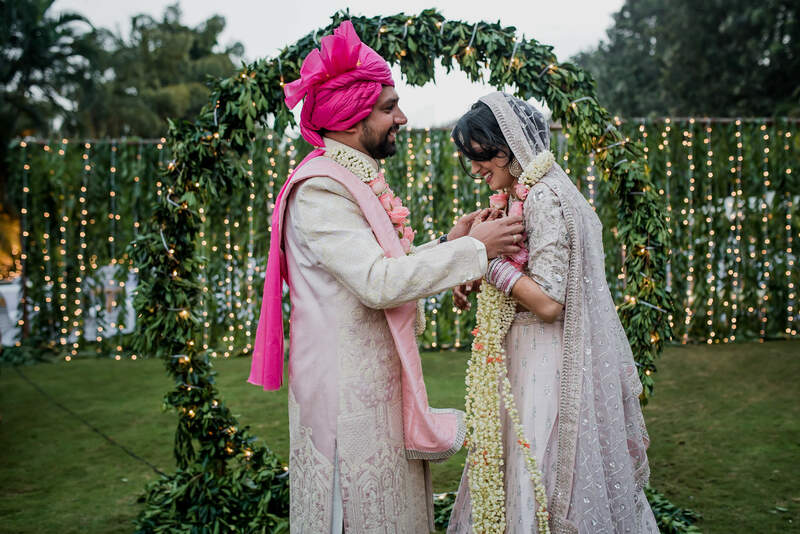 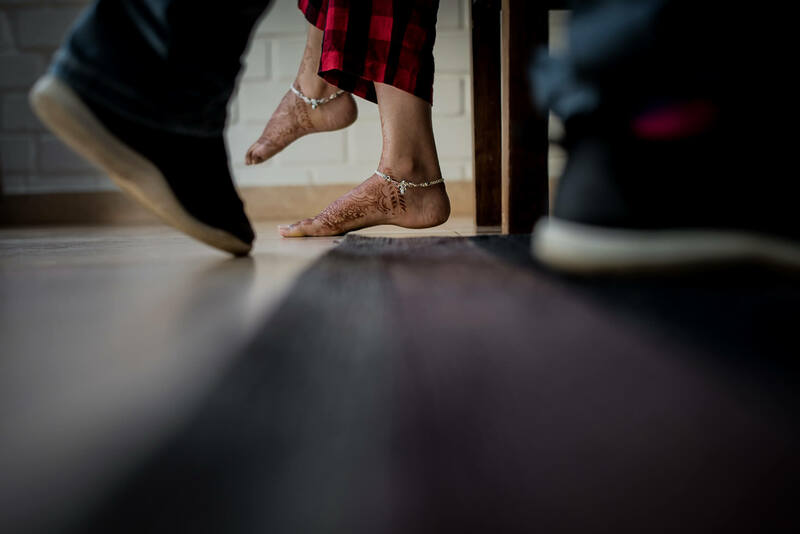 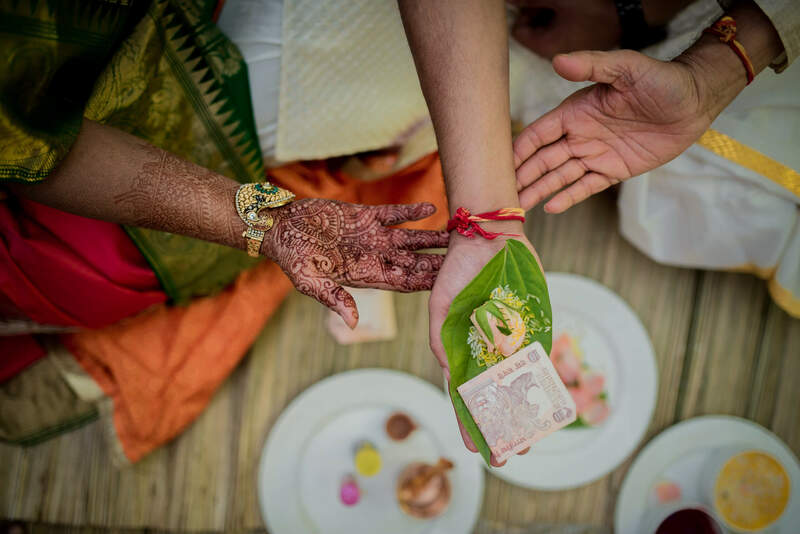 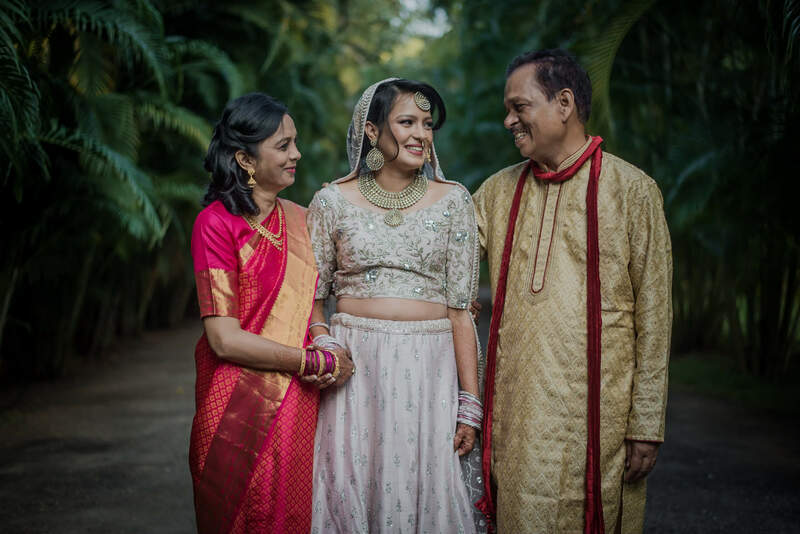 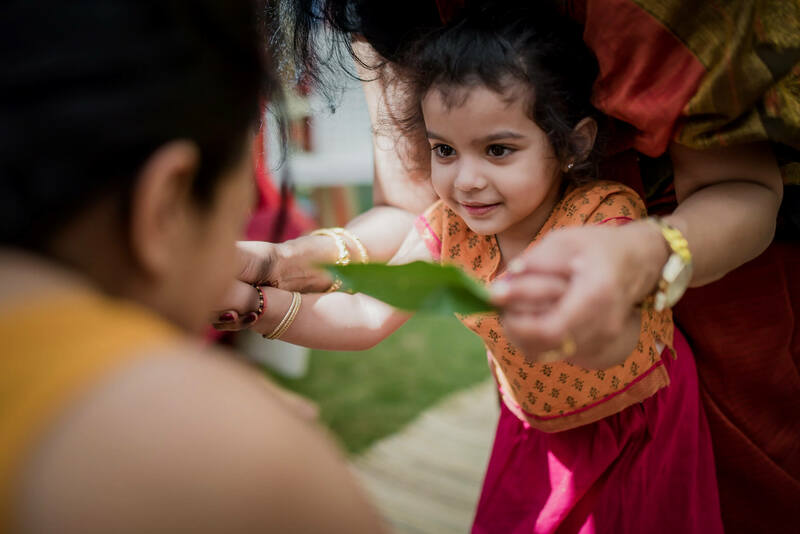 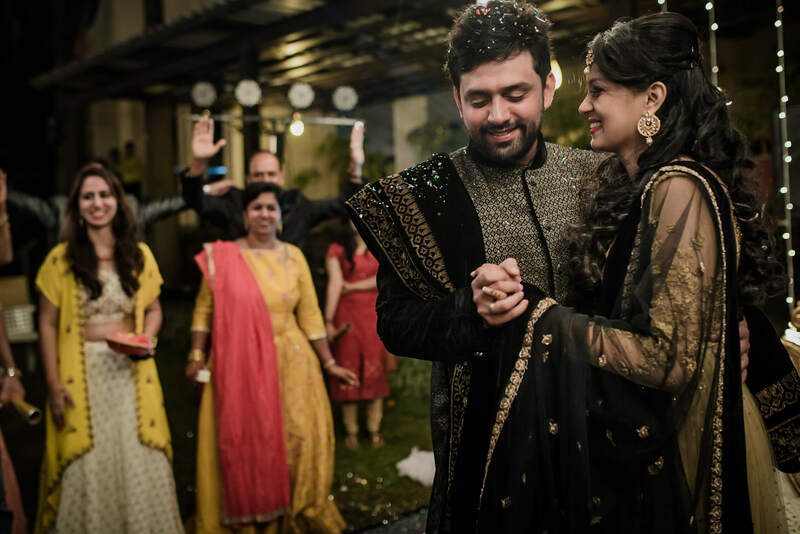 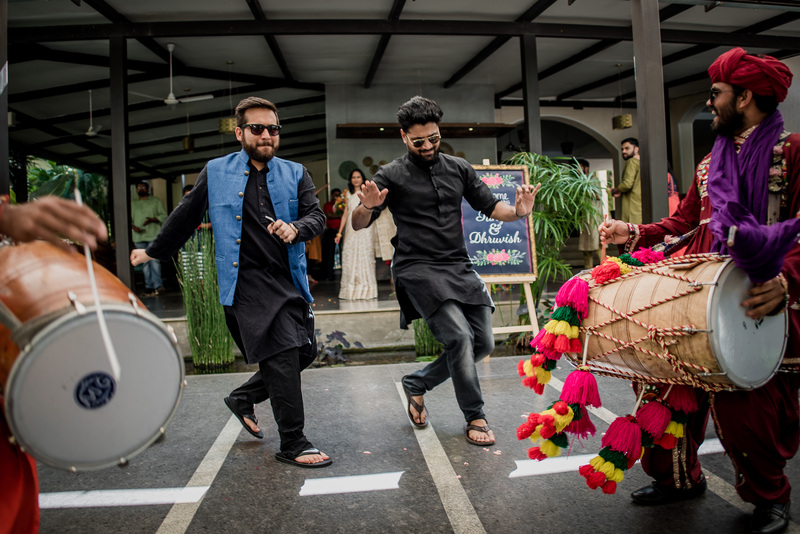 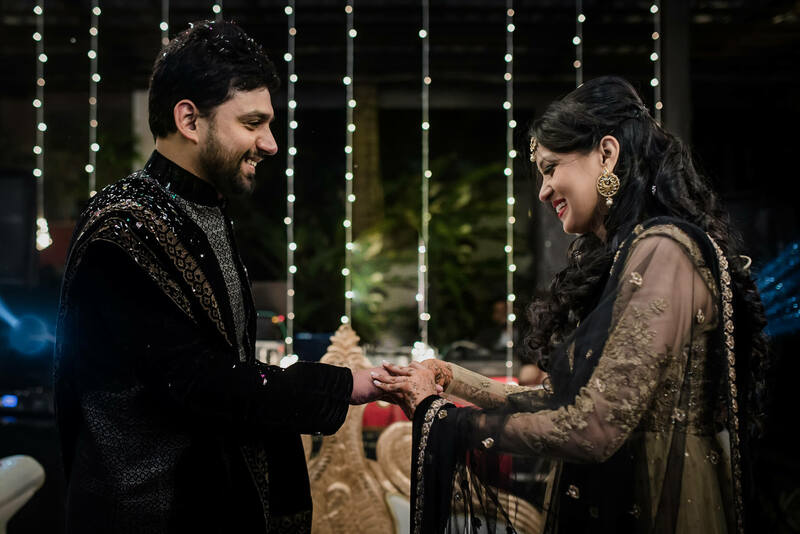 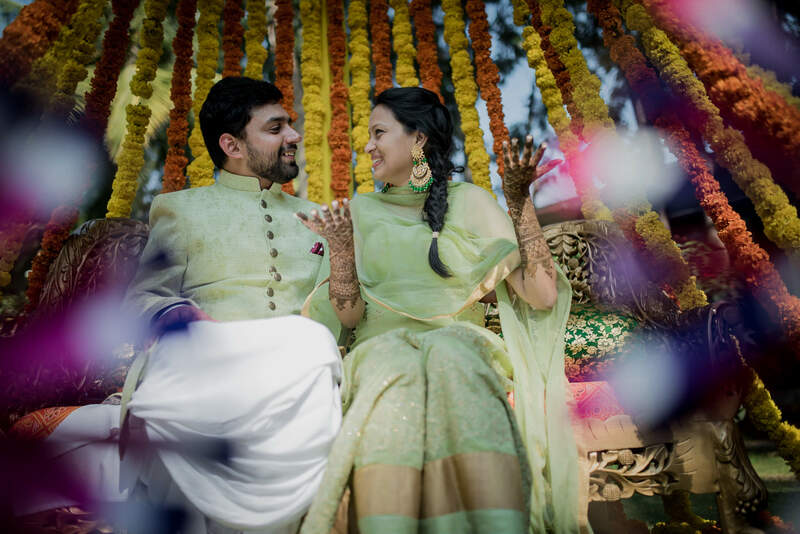 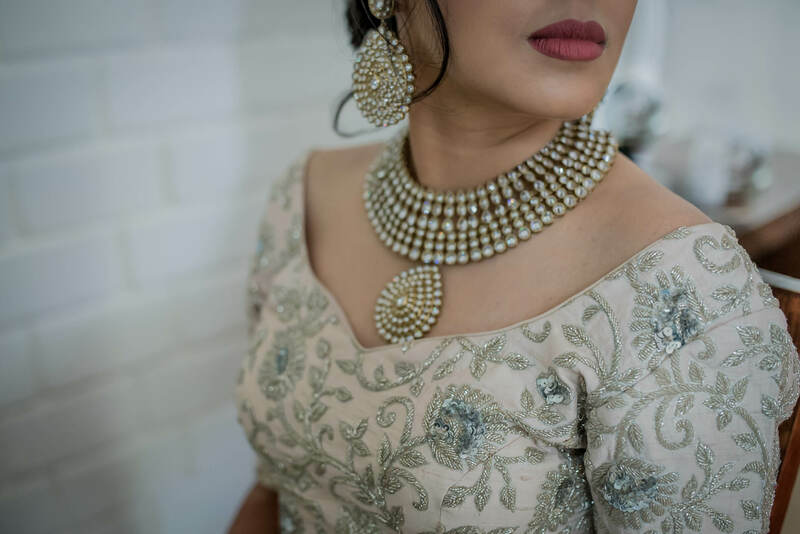 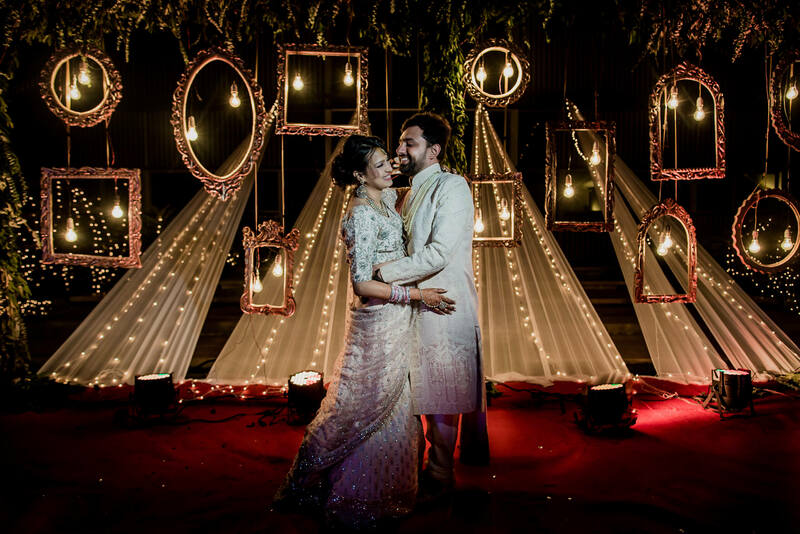 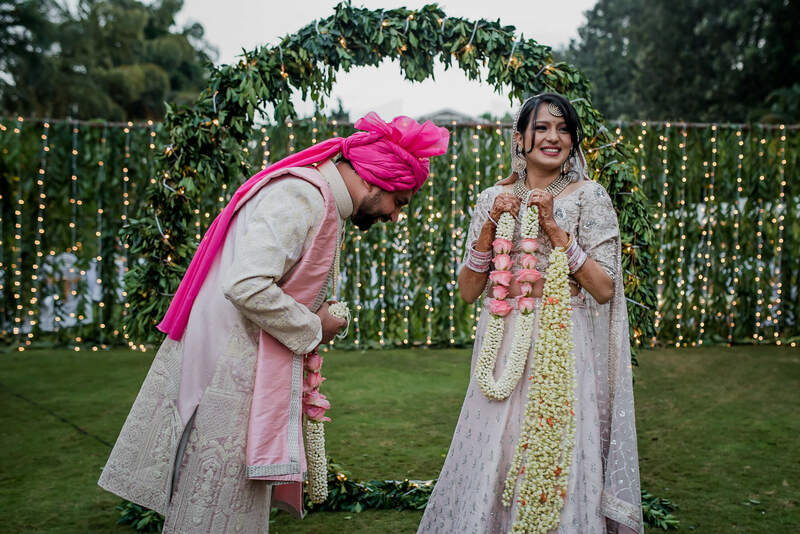 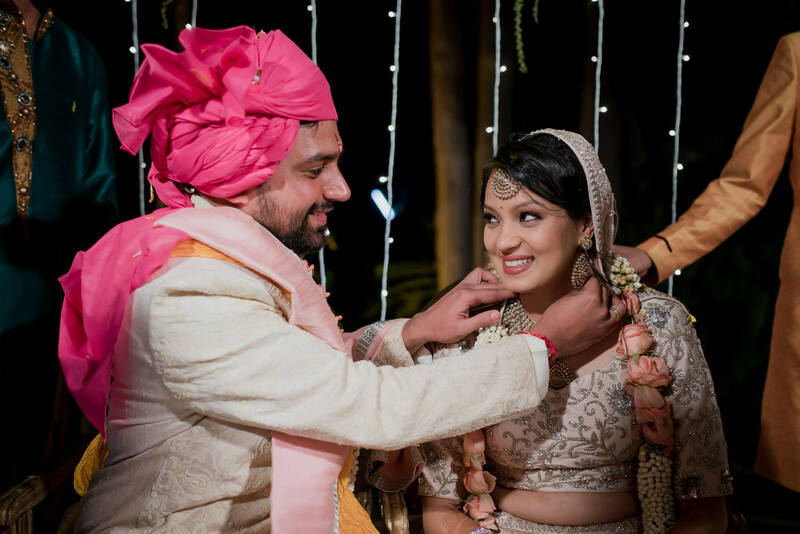 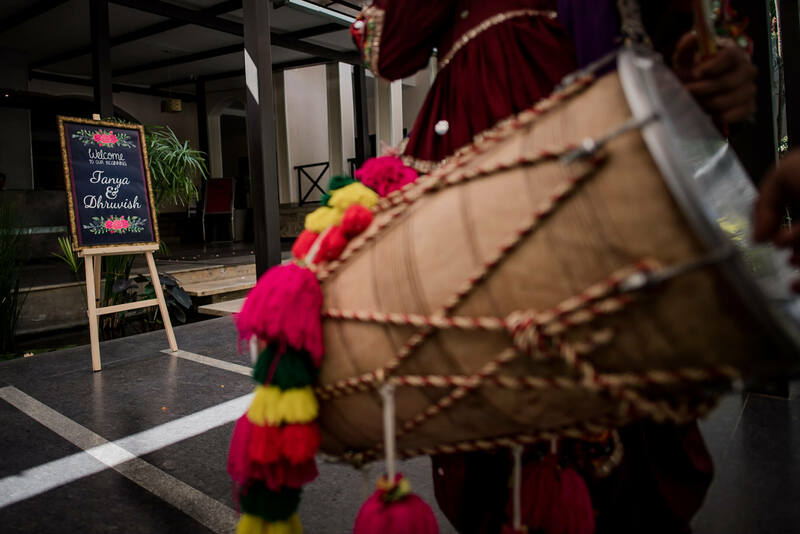 They chose the Windflower Prakruthi Resort as their wedding venue—a scenic green resort away from the city madness and the talented team at Wedding Tales made the location and decor look even more beautiful and elegant.